Ahoy, Sailor! 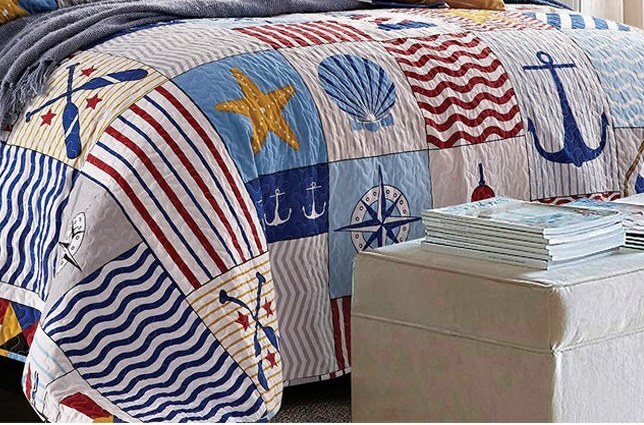 Display this nautical-themed quilt set in your bedroom for a beach house feel. 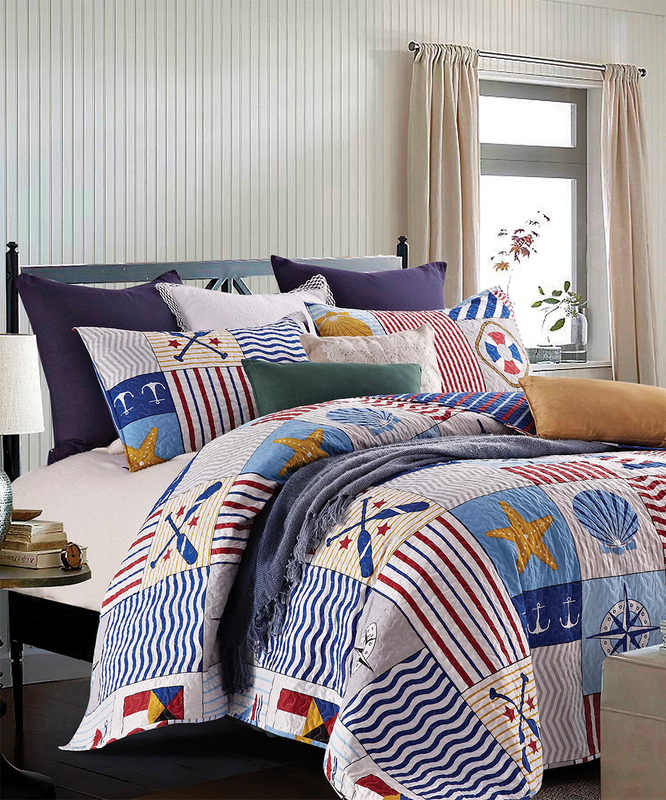 Printed with sailing and beach icons, this quilt will surely please any sea lover. Standard shams match the quilt print. Made from 100% soft microfiber cover, this lightweight set has and all-over vermicelli stitching detail. Accent pillows shown on bed not included.